The unbundling trend is trickling down from apps to television with the launch of Sling TV, Dish Network’s US-only, live TV subscription service at just $20 a month – no contract required. It’s an ironic concept: A US-based cable service aimed at cord cutters who don’t want to pay for cable. Given the specific audience, Sling TV is aimed at not only young TV viewers but young families who will enjoy the limited offering of select channels, including ESPN, Cartoon Network and HGTV. For background, I’m a Time Warner Cable subscriber with basic cable channels. I watch TV about an hour every weekday, and watch the rest of my content from Netflix and Plex for about an hour on the weekend. I’m a prime candidate for what Dish calls the “millennial” audience for Sling TV. But will I be canceling cable in its place? Available for Android, iOS, PC, Mac and Roku (with support for Amazon Fire TV, Fire TV stick, Xbox One and LG Smart TVs coming soon), all you have to do sign up for the service then log on to the website or add the Sling TV app to your streaming device to get started. On the homepage is a list of channels available, with live TV playing in the background. You can scroll through available channels and see program listings below. Sling TV allows you to search as far back as three days prior, or save upcoming shows to a list. While there is no DVR functionality, you can rewind and fast forward shows that have already aired. Getting connected to Sling TV’s live programming was speedy. Each tap of the arrow is like channel surfing on regular cable, plus a description of the show’s episode underneath. At $20 a month, you have a limited offering of available channels. 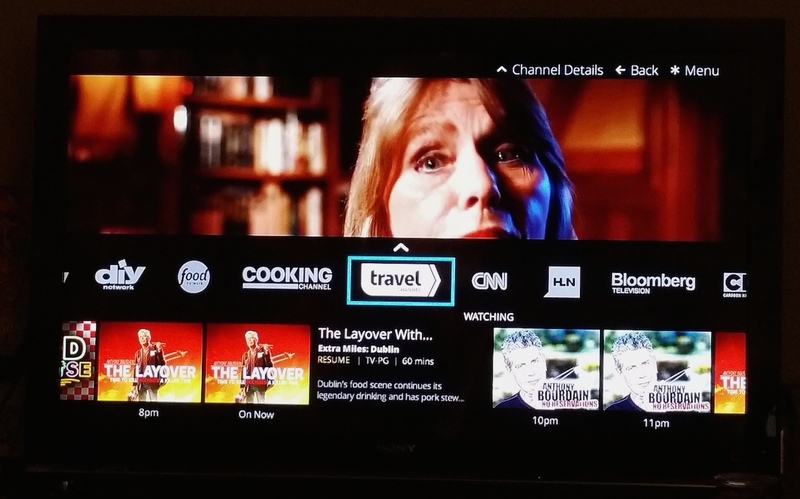 This is where Sling TV could make or break it for you. At the moment, its biggest channels are ESPN, CNN, Food Network, Travel Channel and Cartoon Network. 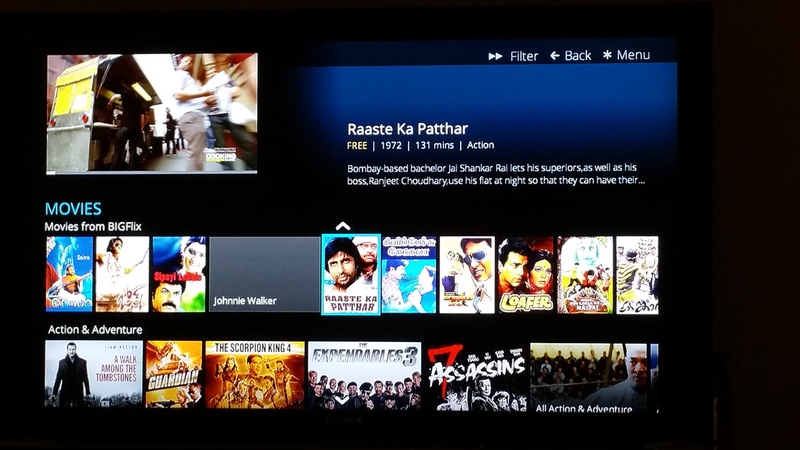 You can filter these few channels down to genre, such as Sports or Kids. Additional channel packs are also available for $5 a month, including Cooking Channel, Bloomberg and Disney XD. Sling TV’s got just enough to please each member of a typical family, plus a few on-demand titles (paid and free). Some recent titles include ‘Guardians of the Galaxy,’ ‘Maleficent’ and ‘Dear White People.’ There is also select international content, but some of this is only available in standard definition. Another thing to remember is that because you’re paying and watching live TV, commercials aren’t skippable. This isn’t a huge deal for sports fans as live games inherently come with breaks, but if you’re used to commercial-free titles from Netflix’s catalog, this might make you antsy. There is a slight buffer between each channel switch and while loading episodes of previously-aired titles, but not any longer than you’d experience flipping cable channels. The nice thing about Sling TV is the contract-less commitment. Cable providers and premium channels get into carrier disputes fairly often, so should your favorite Sling TV channel get dropped, you can cancel the service with no strings attached. In the New York City region, Time Warner Cable offers 200 channels plus internet for $90. 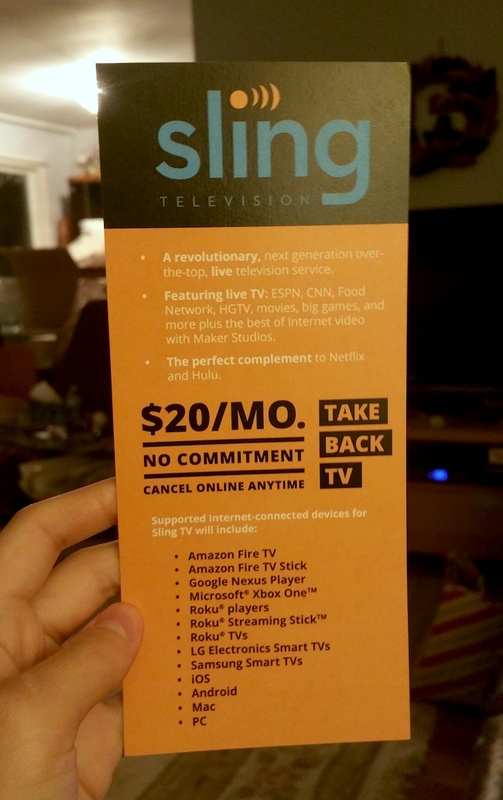 Opt for just internet and Sling TV, and you’re down to $55 a month. It’s a considerable difference if you happen to only watch TV for sports, cooking shows and cartoons. Assuming you are the “millennial” audience Dish speaks of, however, you likely have a Netflix account, one premium cable channel such as HBO or Showtime, and an internet subscription to access them all. Tacking on $20 a month isn’t necessarily cheap if you didn’t have cable before. And while the offerings are decent, it’s missing content from channels like AMC and BBC America (sorry, ‘The Walking Dead’ and ‘Sherlock’ fans), and isn’t available in 4K just yet. The cord cutter’s dream is to select the 20-something channels they actually watch and create a custom cable subscription. So unless ‘House Hunters’ and ‘SportsCenter’ are your calling, Sling TV is a great idea in theory, but only a deal to a specific audience of young families that just want a few speciality channels or need a little live TV action while traveling. I’m an old-fashioned gal who still likes to explore new titles and channel surf the hundred-something offerings on the TV guide, so I won’t be canceling cable just yet. But assuming Sling TV can win over fans of these niche channels, I wouldn’t be surprised to see other providers replicate similar services. The best way to find out is to try it for yourself and see if you can live without your favorite channels, or if you’re up for paying extra to get live sports shows. Sling TV will roll out to pre-registrants starting at midnight tonight, with an unspecified date for general market launch. 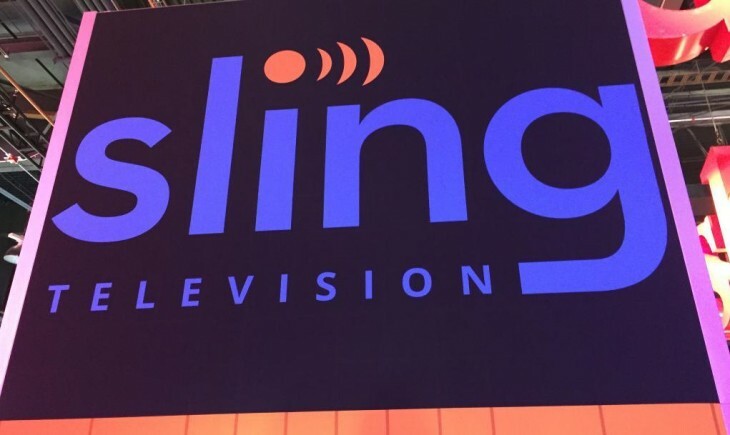 At launch, Sling TV will offer a one-week trial.